A few days ago, Adichie shared photos of her time at Abantu Book Festival on Facebook. On December 7, 2017, Chimamanda Adichie was in Johannesburg where she headlined the 2018 edition of the festival. The event was a live chat between her and author, scholar, and feminist Professor Pumla Dineo Gqola. As usual, they talked feminism. Adichie re-affirmed claims she’d made in the past about the African roots of feminism, citing her grandmother has a powerful figure who, may not have tagged her self a feminist, but lived by feminist ideals. 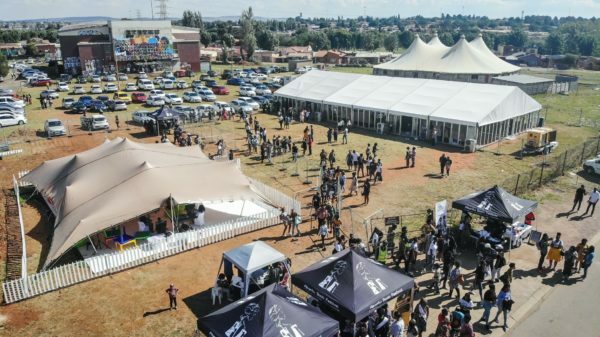 Abantu Festival has become a destination for lovers of everything African and literature. It was established in 2016 to create a space to explore literature as an expression of black life and culture. Adichie looks like she had a ton of fun.